I have been collaborating with computer programmer Benjamin Miller, to create our first version of a reading and writing machine. Our experiment entitled A Novel in Six Parts, Parse 1, will make use of both old and new technologies to generate and display how a novel has been channelled through me the reader. We have been experimenting with known linguistic structures through Natural Language Processing and will attempt to harness the pervading paranoid atmosphere of Fyodor Dostoevsky's 19th century novel Crime and Punishment. 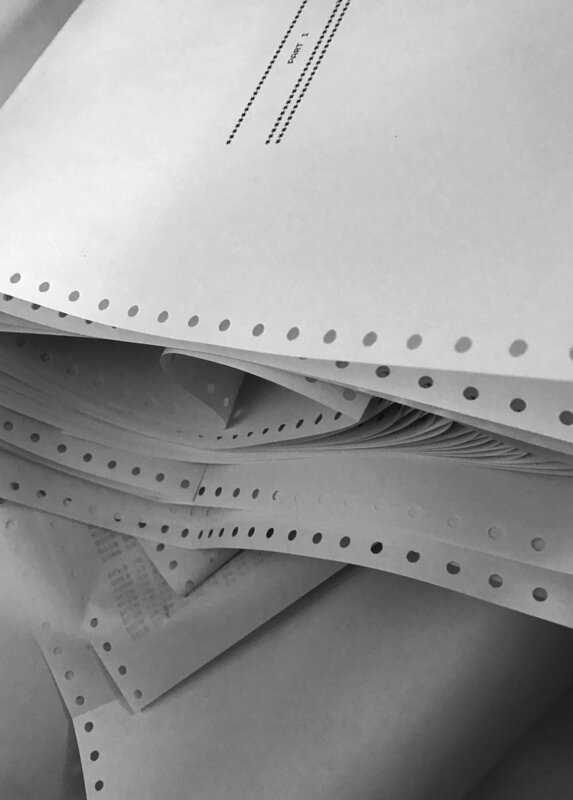 Then by using a dot matrix printer and continuous paper, emotionally charged excerpts from the novel will be printed in continuous runs across the days of the LCN Showcase.